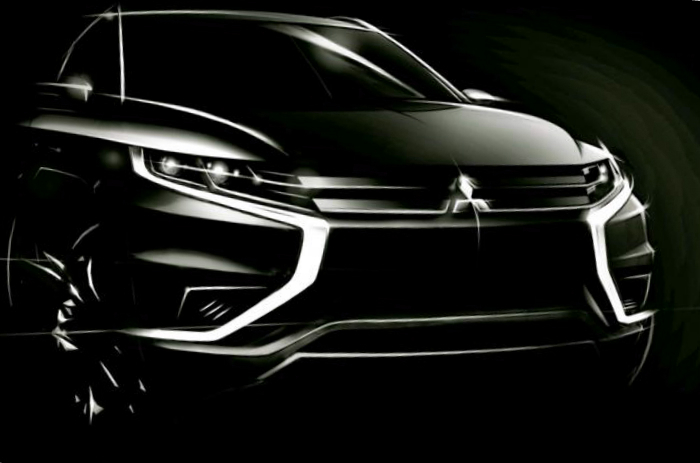 Recently, the Mitsubishi brand has released some teasers of the new plug-in hybrid concept, which has to be presented at the annual Paris auto show this October. The new concept is named the Outlander PHEV Concept-S; it is the next generation of the smaller sporty version and the present Outlander model. As we can notice, the auto manufacturer has worked on the style and design of the novelty similar to other concepts GC-PHEV and XR-PHEV. The new concept car is built on the platform of the Outlander PHEV that was presented in Paris two years ago. The Mitsubishi improved not only both exterior and interior but also driving experience. The new concept SUV will be equipped with the plug-in hybrid system including the 2.0-liter four-cylinder engine and two electric motors. According to the auto manufacturer, the novelty will have both high performance on road and silent running. That is all what we may tell about the new Outlander. More details will be revealed next month at the show.